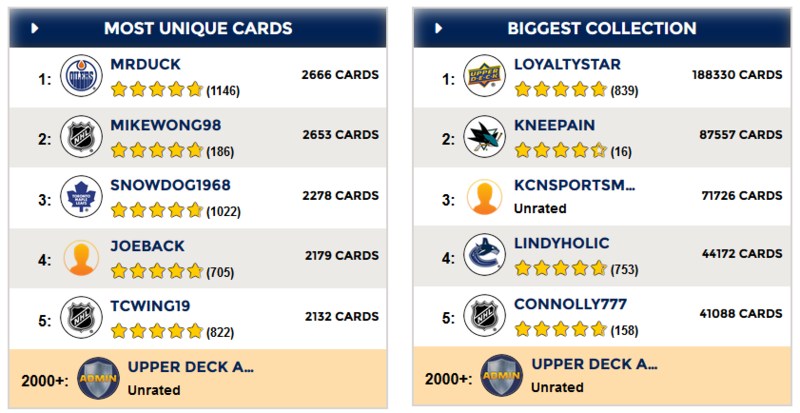 Upper Deck Rolls Out Enhanced Functionality for e-Pack with Leaderboards, Filters and More! 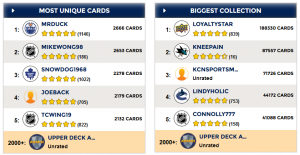 If you haven’t been on Upper Deck e-Pack recently then you may want to log-in after reading this. You will come across a few exciting updates that the Upper Deck team has put together to enhance the User experience with e-Pack. Here is a little run down of what you can expect to see. Do you have a large number of a certain player’s card? Wonder how many cards you need to have the biggest collection on e-Pack? 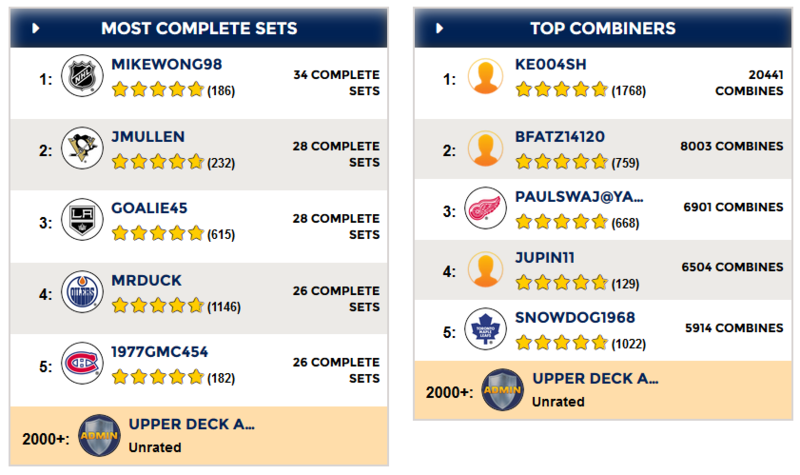 Well wonder no more with the new LEADERBOARDS section on e-Pack. 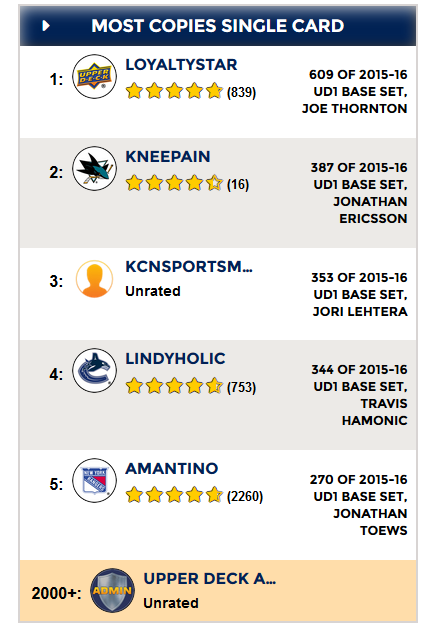 With this new feature, you can compare your ranking to other e-Pack users! 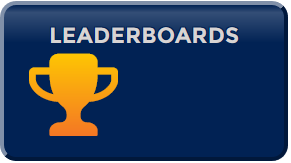 To access it, just go to your e-Pack dashboard and click on the leaderboard button. 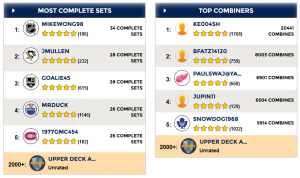 Currently there are 5 leaderboards: Most Complete Sets, Top Combiners, Most Unique Cards, Biggest Collection and Most Copies of a Single Card. 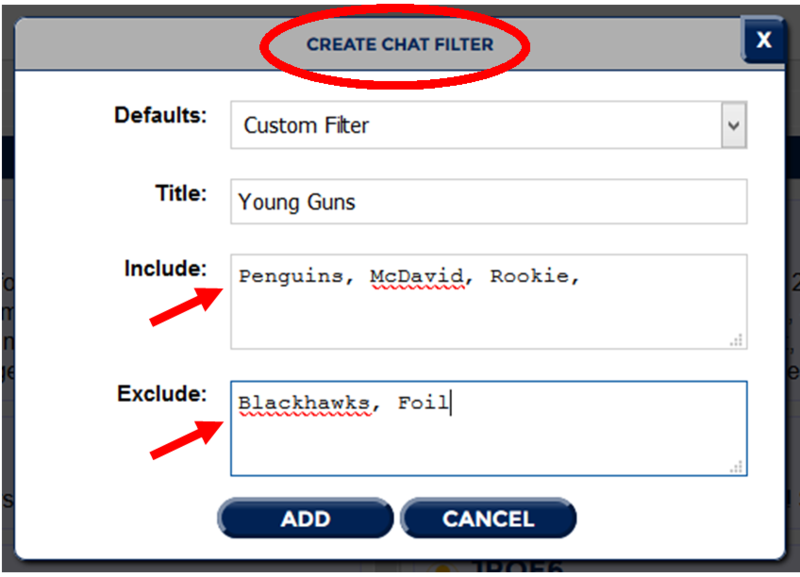 The second update and for many, the most welcomed update is a new forum CHAT FILTER. 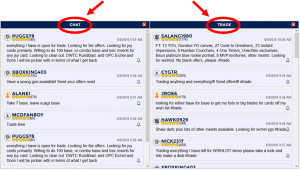 Here users can actually choose how they want the forum to appear for them by separating it into two different categories: CHAT or TRADE. 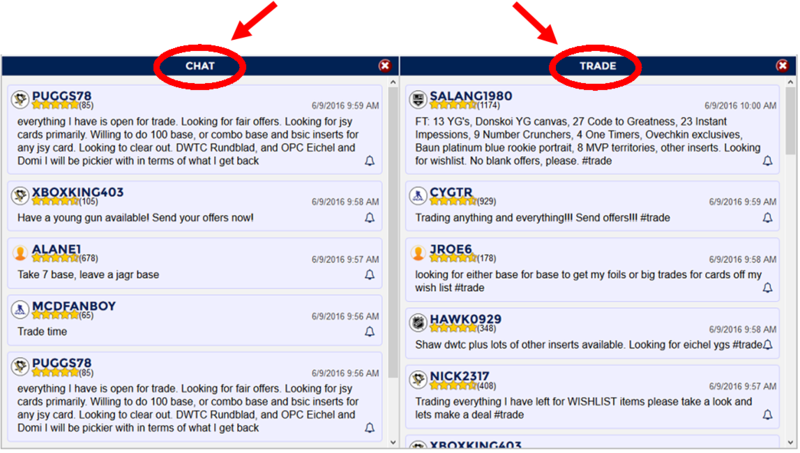 If you want to return to the original forum layout and display both CHAT and TRADE at the same time then you can select ALL, and both filters will be active. 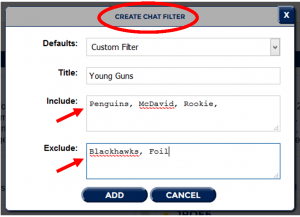 You can even create a CUSTOM CHAT FILTER by selecting a new filter and including keywords and phrases you wish to search for. 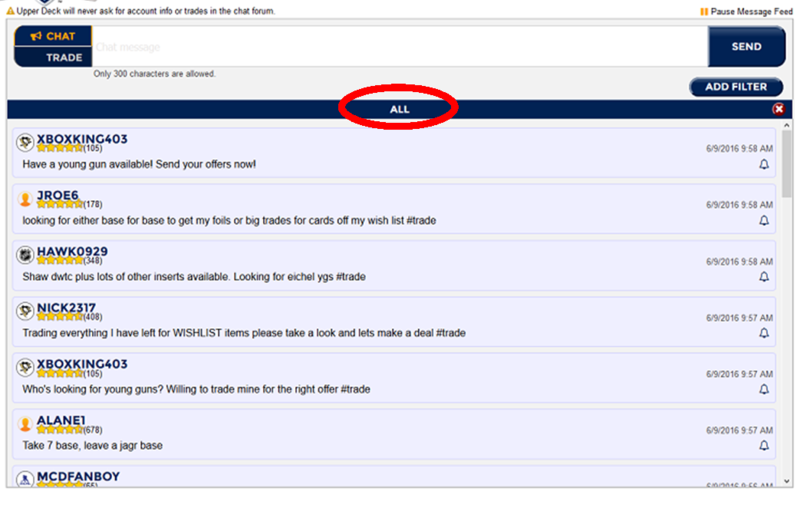 Keywords can also be excluded to help prevent spamming and help you get the types of trades you are looking for. 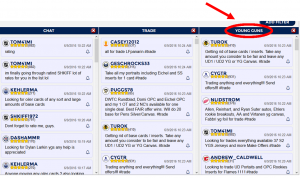 In an effort to help users with their daily activities, the recent update includes the ability to post as either a CHAT or TRADE at the top of the forum. 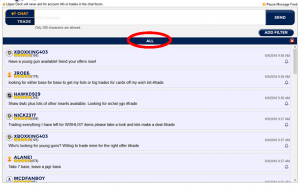 When you have the CHAT button highlighted, anything you post will appear only in the CHAT section of the forum. 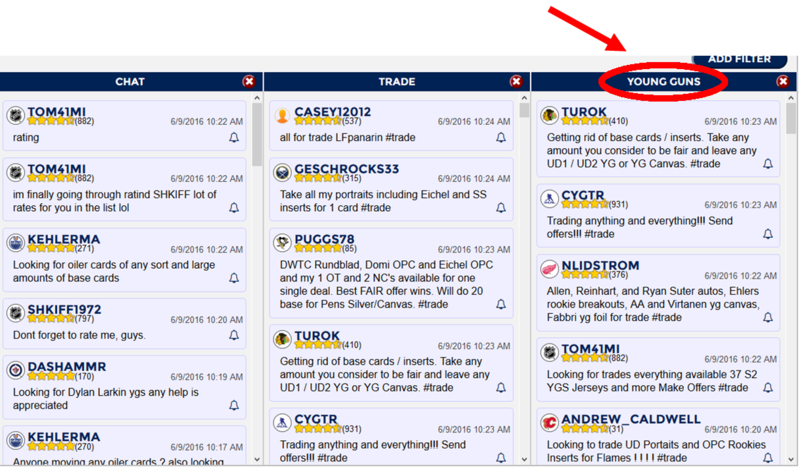 If you have the TRADE button highlighted, then anything you post will appear solely in the TRADE section of the forum. The last update is perfect for those e-Pack Users who like to receive achievements or special event cards. 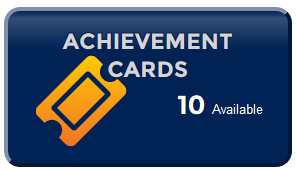 Now you can easily see what current and future achievement cards are available by going to your account dashboard and clicking on the ACHIEVEMENT CARDS button. Here you will see a list of the current card achievements and their requirements, followed by an expiration date if applicable. The best part about all these updates is they were brought to life by you, the e-Pack User! Yes, you read that correctly. All of these updates, including future ones, are based upon opinions, suggestions and ideas of how to improve the e-Pack experience from everyday users. 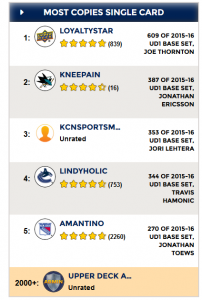 At the bottom of the e-Pack page is the CONTACT US form where at any time you can send Upper Deck a message with questions, concerns, suggestions or general ideas regarding your ePack experience. Also, check out this cool video from Upper Deck Mega-Fan T-Bone Capone who gives a great tour of the new e-Pack updates. What are your thoughts on the update? Give us your comments or suggestions below!